3 original flavors, crafted using all natural (tobacco free) ingredients. 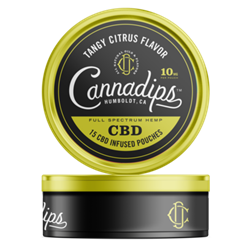 Each tin contains 150mg of water dispersible CBD. No THC. 10mg per pouch (150mg total). 15 pouches per tin.